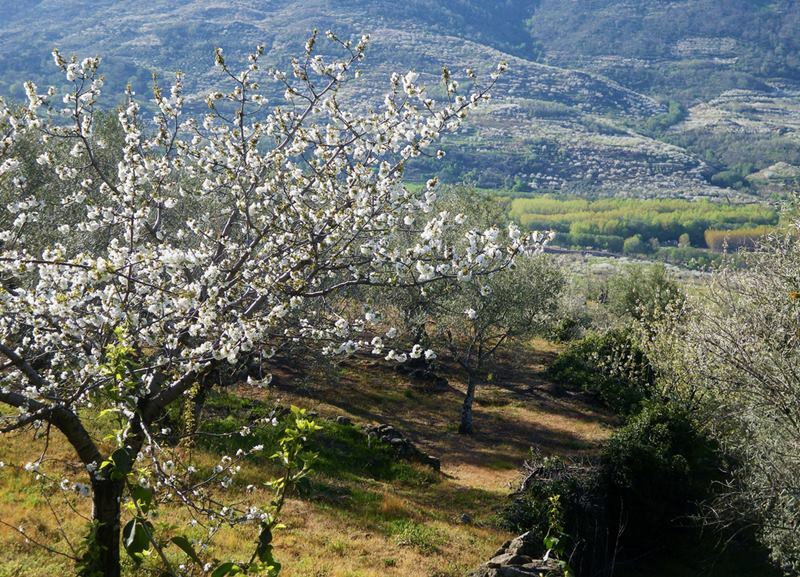 The Jerte Valley, in Extremadura, one of Spain's most famous valleys. 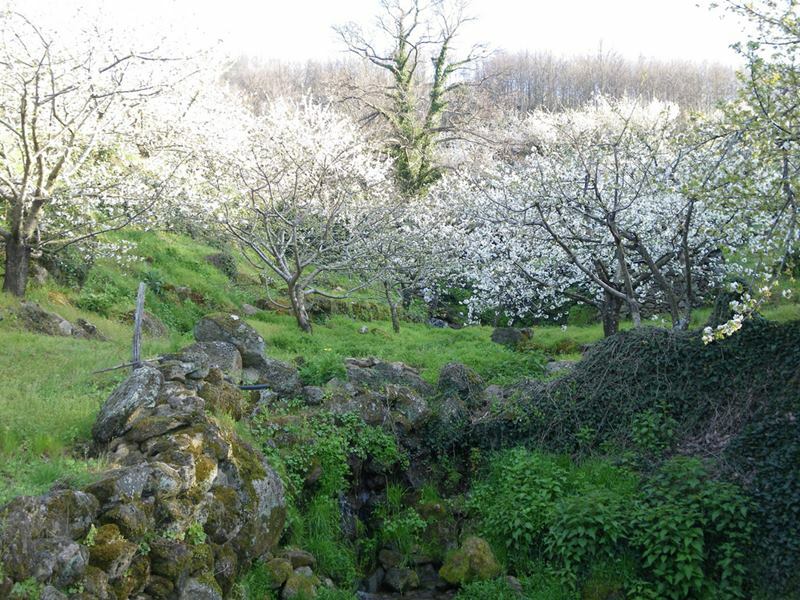 Celebrates the flowering of the cherry trees every year, with two different events of colors. 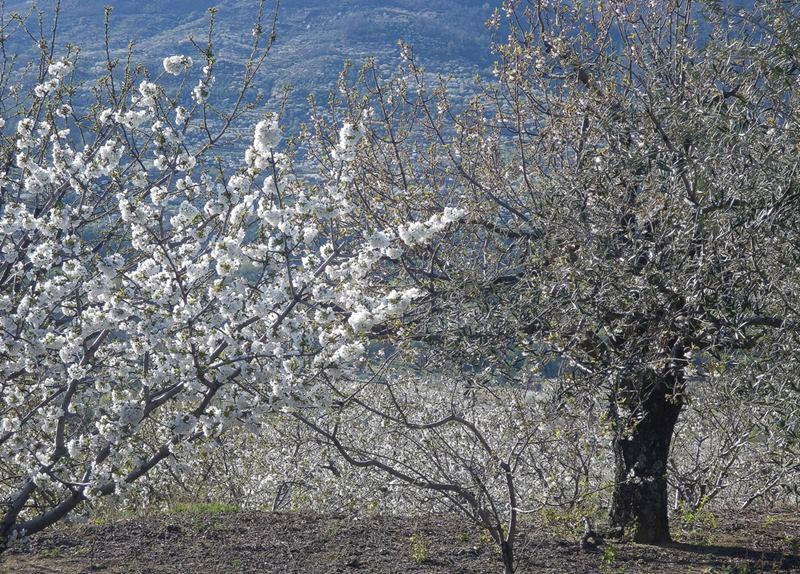 First its only happens for a couple of weeks a year, usually at the end of March and beginning of April, when the cherry trees blossom and coat the valley in white, depending on weather conditions. 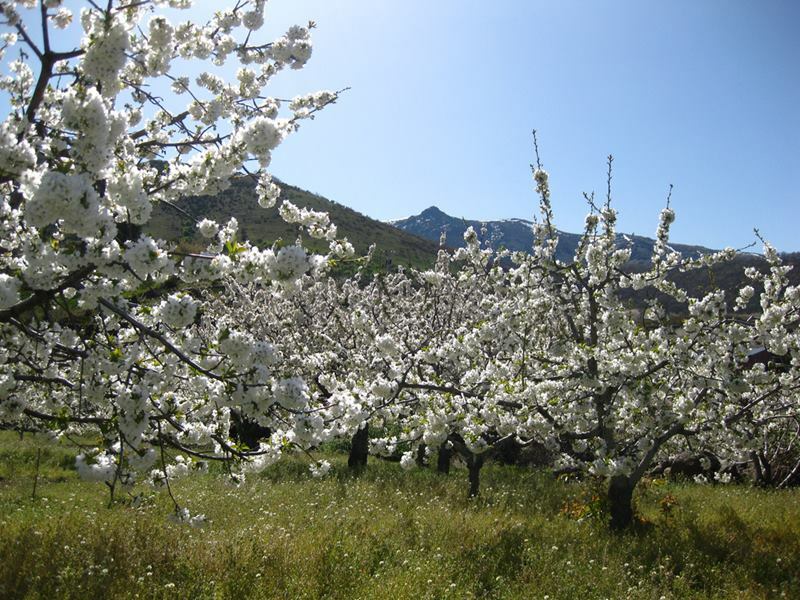 The second is in June and July, when the landscape changes its color, this time to an intense red, as the cherries are ripe. 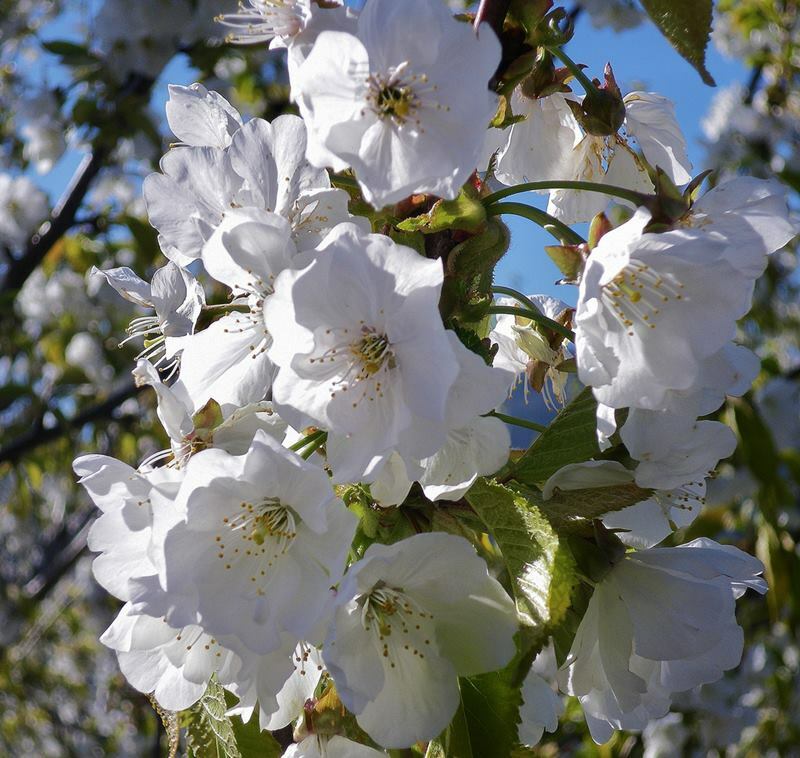 A natural spectacle which as well as a visual delight, is a treat for the sense of smell and taste. 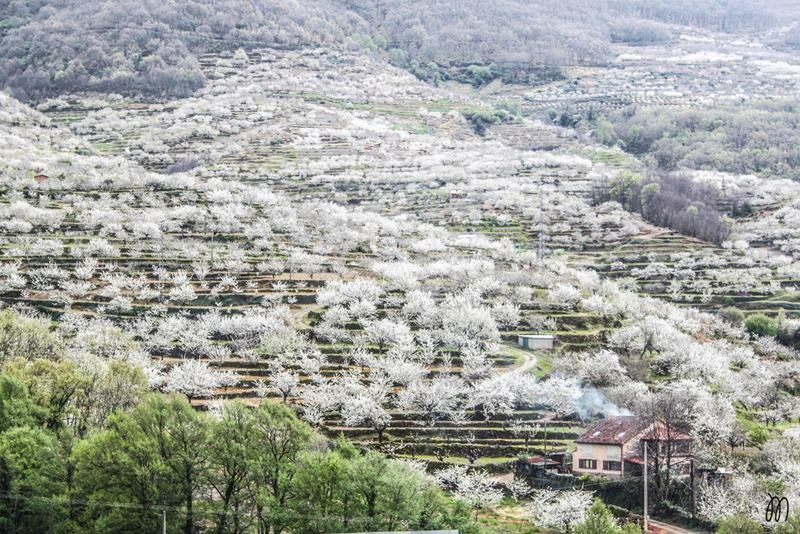 The flowering of the valley's nearly two million cherry trees lasts around two weeks. 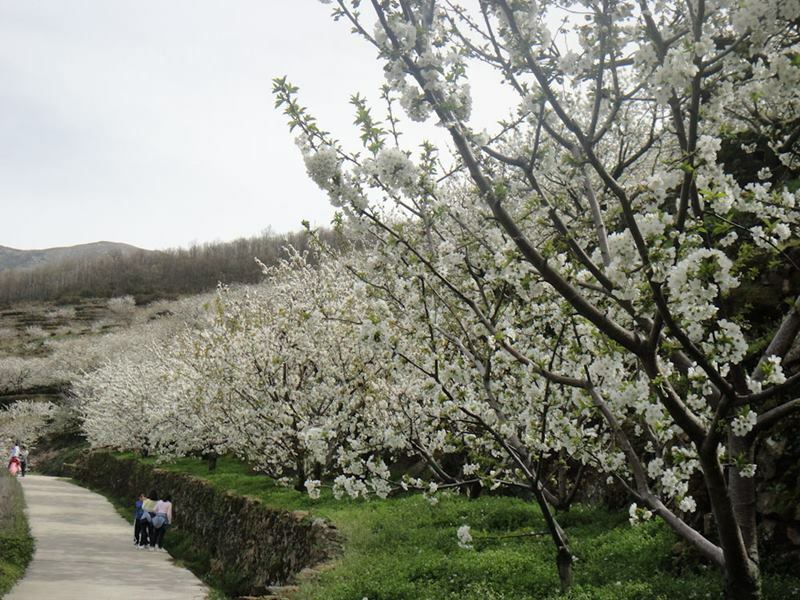 At the beginning of summer, the flowers give way to delicious cherries, and the valley is blanketed in red. In all the little towns of this zone, the inhabitants offer typical products and food to be tasted for everyone. 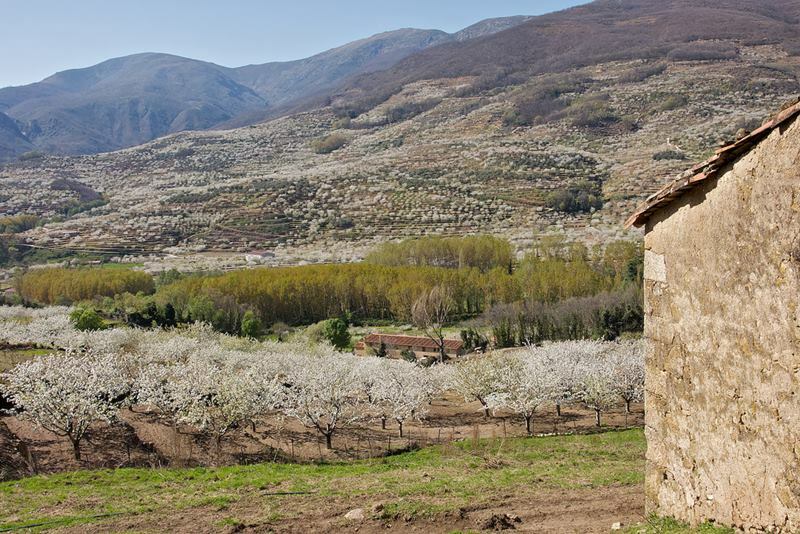 This land provides delicious jams, wines and liqeurs and typical dishes as trouts Jerte style. 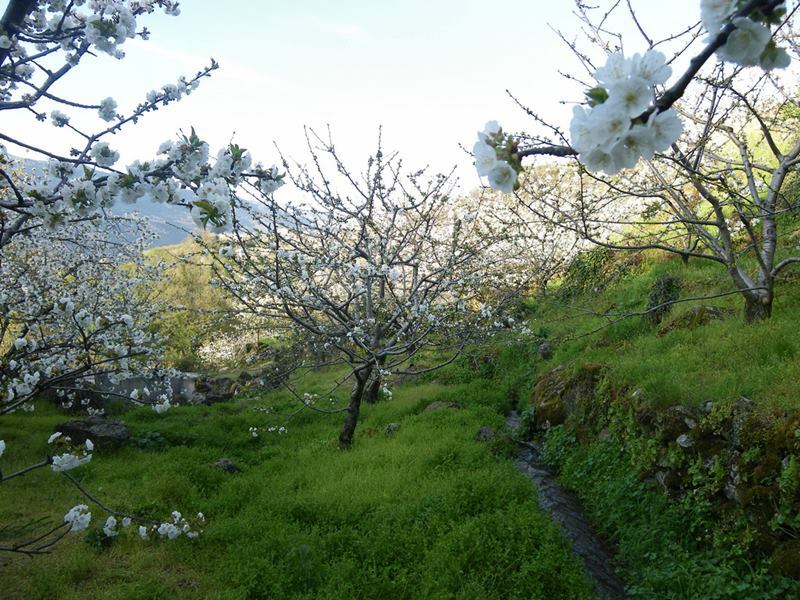 Exhibitions, medieval markets, open-air celebrations, routes or tasting sessions, among-st other activities, take place in the towns in the valley: Valdestillas, Tornavacas, Rebollar, Piornal, Navaconcejo, Jerte, El Torno, Casas del Castañar, Cabrero, Cabezuela del Valle and Barrado, all of them in the province of Cáceres. 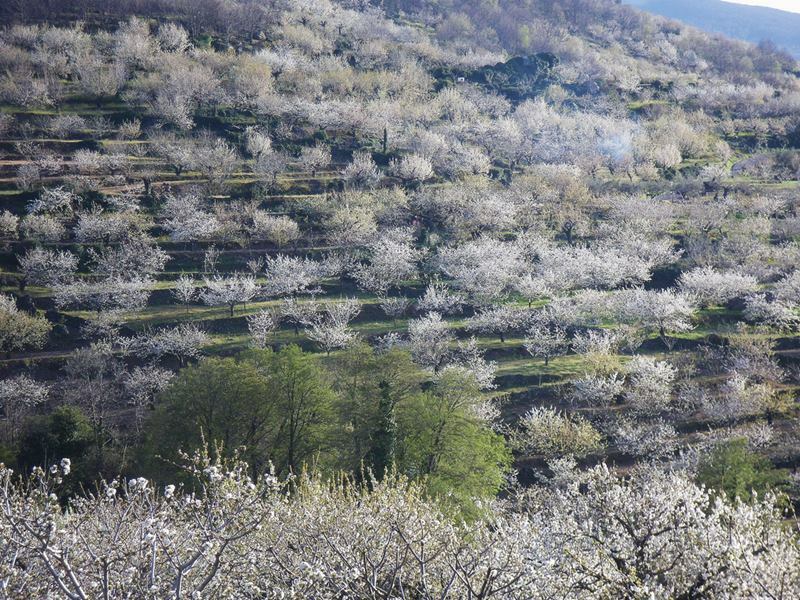 Around 200 different varieties of cherry in the valley. 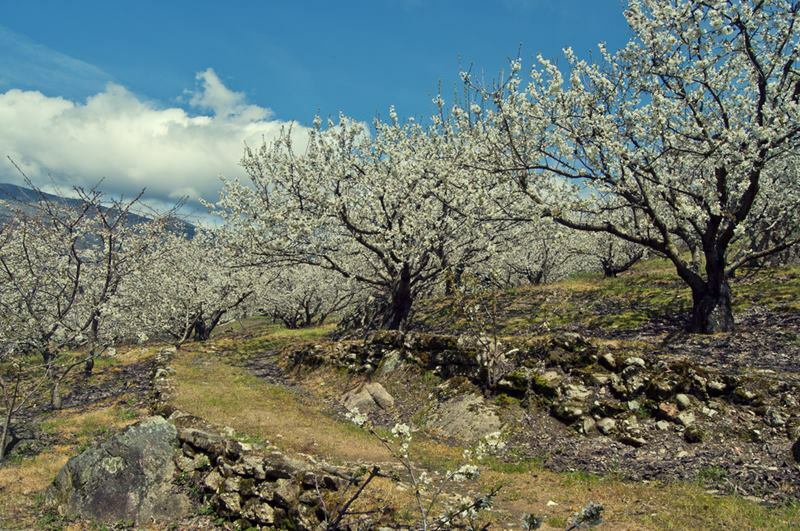 Nature is wise and there’s a reason this cherry industry has been practised on the banks of the Jerte since at least 1352.